Polymer materials are at the cutting-edge inter-discipline of materials science and soft materials. It builds the development foundation of many scientific research and industries, such as aviation, new energy, sustainable development, bio-science, health and medicine, information technology, and intelligent manufacturing. As a popular programme for undergraduates, Polymer Materials and Engineering in Queen Mary University of London (hereinafter as QMUL) covers metals, ceramics, polymers, and composite with the involvement of chemistry, materials and engineering. It is one of the most influential and distinct programmes in QMUL. The programme provides elite education and professional training for students with a thorough grounding in the structure of materials, the properties of materials, the performance of materials, the manufacturing processes and design, shaping and applications. It has been rated as 5-star programme by the British government for many times. A survey conducted by the National Union of Students in 2011 showed that it ranked top 1 in the UK. The Material programmes in Northwestern Polytechnical University (hereinafter as NPU) enjoy a high reputation and a great popularity internationally. Material discipline of NPU is the National Key Discipline and ranked top 3 among all National Key Disciplines in the 2012 Discipline Evaluation in China. The programmes, Polymer Materials and Engineering is the “Famous Brand Programme” and “Distinctive Programme” of Shanxi Province. 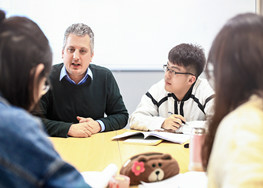 Approved by the Ministry of Education of China, NPU and QMUL have launched a joint educational institution named Queen Mary University of London Engineering School, Northwestern Polytechnical University (hereinafterreferredto as JEI), in order to provide Chinese students with typical British education that emphasizes on developing undergraduate students’ innovation ability. The JEI, which builds on the acknowledged expertise and experience of the two universities and their complementary research strengths in materials science, fully uses educational resource advantages and high-level international cooperation platforms of both universities to provide a high quality degree level education in the programme of Polymer Materials and Engineering (080407H). The programme draws on the academic expertise of both institutions and adopts an international teaching mode with curriculum system, teaching materials, and assessment methods from the UK. The mission of this programme is to develop qualified and innovative talents who can study and work transnationally with the knowledge of natural science, polymer materials science and engineering, and social science. Students graduate with comprehensive qualities, high professional competencies, a global horizon, a life-long study ability, and recognition of international rules. Under the guidance of Marxism, this programme aims to enhance morality and foster talents, to develop qualified and innovative talents who can study and work transnationally with the knowledge of natural science, polymer materials science and engineering, and social science. Students graduate with comprehensive qualities, high professional competencies, a global horizon, a life-long study ability, and the recognition of international rules. Students who have completed their studies are able to pursue higher degrees and research within universities in China and internationally or careers in the expanding materials science and manufacturing industry in world famous enterprises. Students should master basic knowledge of shaping, characterisation, forming, product design and applications in polymer materials, and professional knowledge of the structure and properties of polymer materials, chemical and physical structure characterisation of polymer materials, and evaluation of materials properties. Being equipped with problem-solving abilities, Students are able to conduct research and engineering practice with their basic knowledge and professional skills in the field of polymer materials. Students become highly proficient in English language: reading English materials and books in polymer materials, writing academic essays in English, and conducting technical presentations in English. The programme develops students’ global horizon and the recognition of international rules via the British teaching mode and oversea internship programmes. Students can obtain, use and manage various information to conduct cross-cultural communication and cooperation with innovative abilities and international competitiveness. Students can recognize Chinese characteristics and international comparisons correctly, as well as comprehend modern China and the world objectively and comprehensively. Students should stick to Marxist theory, promote and practice Socialist Core Values, recognize the responsibility of times and mission of history, and to understand ambition and dedication correctly. Students should have a strong sense of social responsibility, a healthy mental and moral state, the ability of leading and working in teams, and outstanding communicative and practical skills. Equipped with good presentation skills and writing abilities, students can communicate effectively with their peers and the public against complex engineering and scientific problems. The cultivation of consciousness of engineering ethics, and the concept of working for the wellbeing of the human beings and sustainable development can help students to adapt to dynamic changes, and master the cutting-edge knowledge and new trend in the field of polymer materials so as to constantly improve students’ abilities. Students should master: extensive knowledge in the field of materials science including materials science, the structure of materials, the properties of materials, the performance of materials, the manufacturing processes and design, and application and development; intensive professional knowledge, including polymer chemistry, functional polymer, high-property polymer, and resin matrix polymer; experimental and computational methods in the field of polymer materials science and engineering. Students should be equipped with creative problem-solving and transferable skills and recognize the important value of materialsscience to engineering and other technologies. On the premise of safety, students conduct various experiments practically and are able to design, conduct, analyse and evaluate experiments and the results. Students are familiar with chemistry, material experiments, and analysing equipment, and are capable of searching, collecting and selecting data and presenting scientific and technical report. At last, students should have related abilities to conduct scientific research and develop technology and products in the field of polymer materials. Students should have the abilities of international competitiveness, communication, life-long study, independent study and work, and leading and working in teams. Students can estimate the relevance, importance and reliability of various information and realize the influence of science and engineering on the future of the society worldwide. Students are capable of communicating and cooperating transnationally with innovative ability and international competitiveness. With the concept of sustainable development in mind, students are exposed to cutting-edge technology changes in the field of materials and can improve themselves constantly in practice. Taking the use of Britain’s high education concept to cultivate innovative bachelor talents for reference, multiple education modes are practiced, such as theory teaching, experiment teaching, case study, comprehensive application and open-experimental instruction, in all modules except for Chinese Compulsory and PE courses. Rather than relying on the traditional reception teaching, we adopt the student-centred teaching mode, which highlights on fostering students’ ability of self-study, problem-solving and hands-on practice. JEI programmes intend to motivate students’ inner impetus, discover their interests for knowledge and cultivate their lifelong learning as well as working ability.